Registration is from 7:30 - 8:30 AM in Bailey Center. This meeting is a dynamic system of farmers, ideas, and discussions. Topics will be facilitated based on attendee recommendations, suggestions, and interest. We're not saying you won't 'see a PowerPoint slide somewhere, but this is not a PowerPoint conference. As an attendee, you are the conference. Still need some idea of what to expect? Think in terms of bottlenecks to your success, ways to improve profitability, and marketing the pastured poultry difference. Our framework for discussing these issues is as follows (alternative discussions will be available). Monday’s programming provides a framework to discuss processing and production related topics. Tuesday sets up to be a discussion about marketing and sales. If you could discuss the single most important issue in your life (as it relates to running, managing, and marketing pastured poultry), what would it be? That's the kind of issues we want to tackle through this discussion. We will provide concurrent meeting spaces for both days of the conference to simultaneously host a large group discussion and one or more small group discussions. Discussions will be determined based on attendee submitted issues. 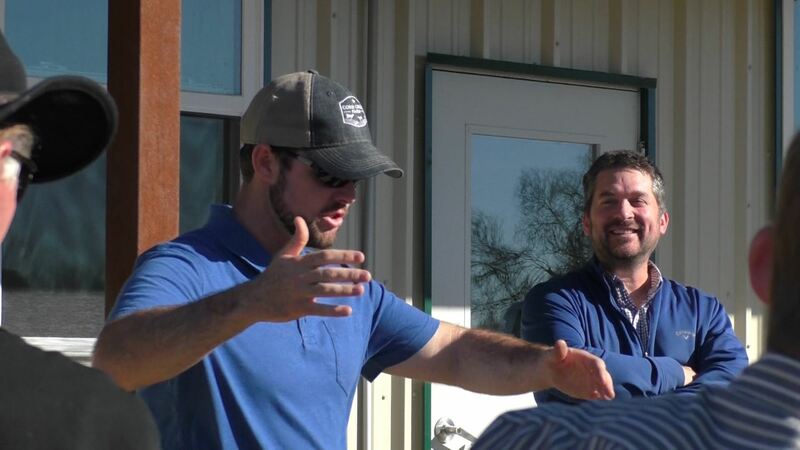 Optional Plant Tour: Terrell Spencer will offer tours of the mixed use (red meat and poultry) USDA plant he helped set up following 2017's meeting.The plant processed red meat and added poultry for a fraction of the cost of building a new poultry facility. Professional Producers: This is an inclusive meeting; however, discussion will be an intermediate to advanced level in our moderated discussions and large groups. In other words, they expect experienced discussion. Profitable Mindset: Pastured poultry is a business, and this reality is the underpinning of the conference. An unprofitable pastured poultry farm can not drive change in the marketplace. Large Group Discussions: Large group discussions will be facilitated and may require unique perspectives from scaled up producers and producers with experience. The moderator will limit conversation that doesn't fit the assembled audience and redirect those off-topic discussions to an appropriate time and place. Small Group Discussions: Smaller group discussions will offer alternative topics that may be of interest to a smaller, yet highly interested groups of people in lieu of large group discussions. Spontaneous: APPPA is intentionally not scripting every block of time in the conference because we want you to influence the direction of the discussions. You'll notice there are no presenters. Come ready to interact. Everybody knows that some of the most valuable experiences at a conference come from spontaneous discussions among old and new friends. APPPA will provide the framework along with the initial planning that creates those spontaneous, invaluable, and long-lasting discussions. In 2017, APPPA piloted this concept with a group of 50 farmers, and it was a smashing success. People left the meeting with new connections, made deals that saved them money, improved practices that contributed to the bottom line, and gained insights that developed their business. Tickets are offered as individual (1 ticket) or as a pair (2 tickets). If you will be the only person from your farm attending the conference, then select the individual option. If your spouse, partner, employee, or intern will join you, select the "Two Farmers" option. Second registration from the same farm is available for an additional $50. If you have a third member of the same farm to register, please contact Mike at grit@apppa.org. Access to pastured poultry farmers, experts, and leaders from across the country. Participate in the conference and meeting programming. Input into conference programming and discussion via moderated round-table discussions. Four meals: breakfast and lunch both days. Dinner on Monday evening. APPPA has a reserved rate at Mount Sequoyah for $75 per night. To make reservations, call 479-443-4531 and tell them you're with APPPA (American Pastured Poultry Producers Association). Closest airports are Northwest Arkansas (XNA) and Fort Smith (FSM). They are approximately 40 minutes to Fayeteville. Tulsa (TUL) is a third choice, but approximately two hours out. The following businesses generously support pastured poultry producers at the conference and throughout 2018. Please visit these great companies and thank them for their support of your pastured poultry business and for their support of APPPA.